This is a great post I just came across and wanted to share. Cubsessed Cubs fan Grandma June was able to attend possibly her last Cubs game at her beloved Wrigley Field last Sunday. 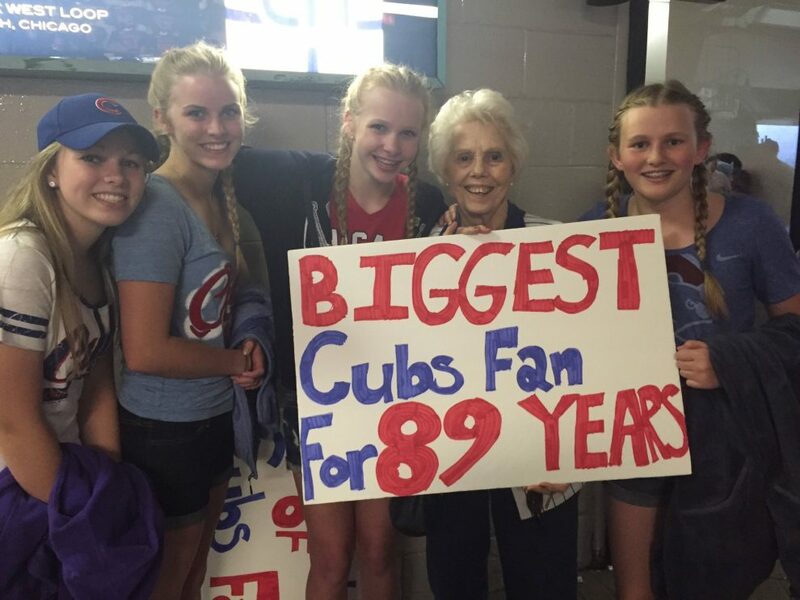 Grandma June and 4 generations of her Chicago Cubs loving family got to spend a beautiful day at the ballpark together. Her dream is “Be a part of the dugout” or meet Jake Arrieta.